Located along Maryland’s Eastern Shore, the Henry S. Parker Athletic Complex is Salisbury’s premier outdoor sports facility with its primary focus on baseball and softball. The Henry S. Parker Athletic Complex (HPAC) opened in May 1986 to provide a central location for local softball leagues and tournaments. Since opening, HPAC has won several facility awards for design and appearance from the Maryland Recreation and Parks Association. Throughout the years, HPAC has provided Wicomico County residents the opportunity to participate in recreational programs during the spring, summer and fall. HPAC has hosted everything from recreation’s popular junior girls’ softball program to high school championship games and community fundraisers. Moving forward, these programs and events will have the opportunity to expand as the complex grows. 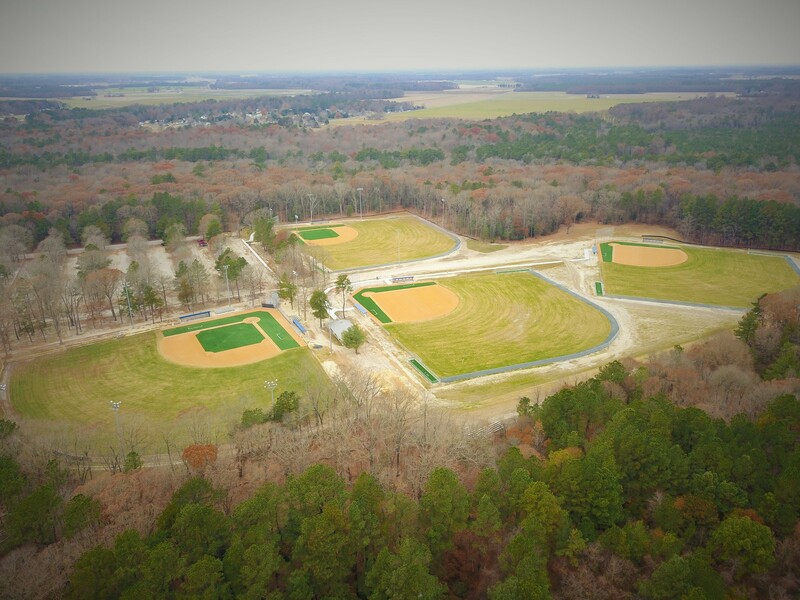 In spring 2017, Wicomico County Recreation, Parks & Tourism started a $3 million expansion project at the 41-acre Henry S. Parker Athletic Complex, replacing an existing field’s infield with synthetic turf. New dugouts and bullpens were also constructed for this field, and batting cages will be added nearby. Three more diamonds – each with a full-size synthetic turf infield – are under construction as part of the expansion. By spring 2018, there will be eight playable baseball/softball fields at this location. New sidewalks and signage will also be in place. Built among trees, the facility is well-shaded. USSSA will return to Wicomico County for the twelfth year this summer for the annual USSSA Eastern World Series. 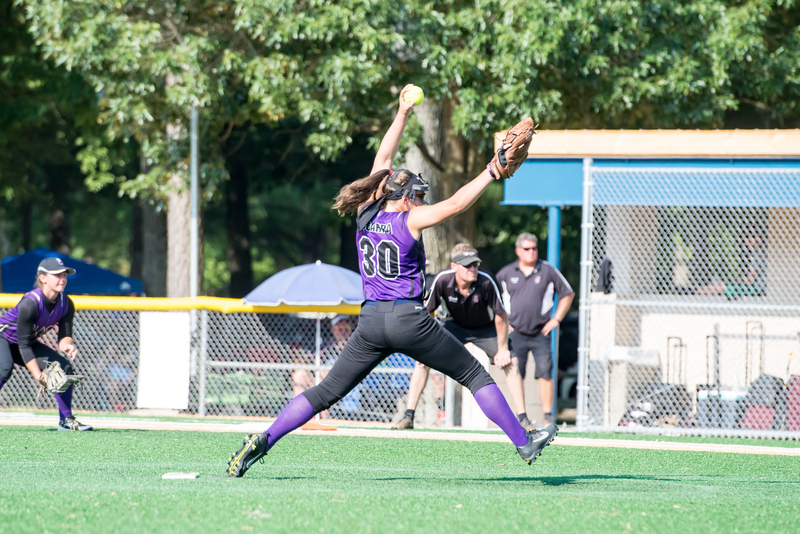 In 2017, nearly 5,000 softball players traveled to the Lower Eastern Shore over three weeks for this event. Athletx will bring a new tournament to Wicomico County beginning in 2018. Athletx hosts youth baseball nationals events for boys ages 8-14. In its first year, the event is expected to draw 60 teams. Game Day USA will also bring a three-day youth boys’ baseball tournament to HPAC in June 2018. This event is expected to draw 50 teams. 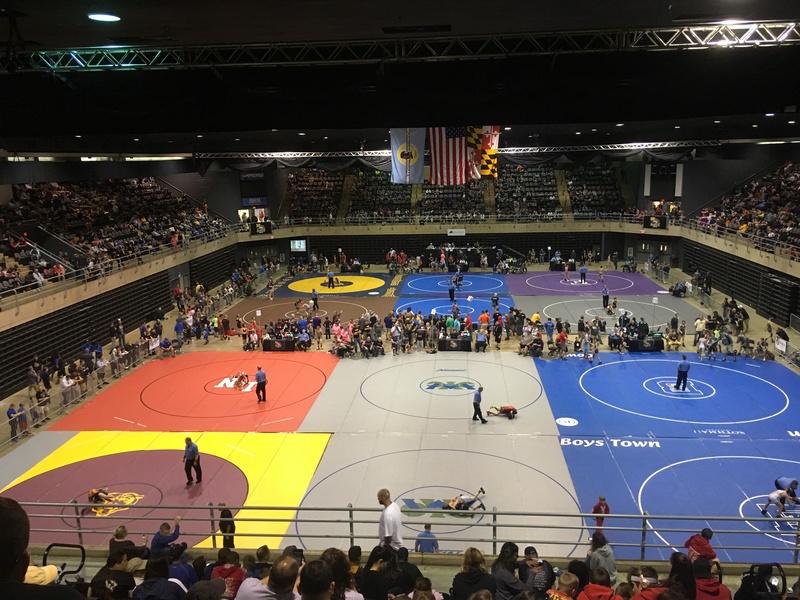 Other important sports facilities in the area include the Wicomico Youth and Civic Center, the Fruitland Falcons Sports Complex, Crown Sports Center, the Mid-Atlantic Youth Sportsplex, Arthur W. Perdue Stadium and Sea Gull Stadium, home to Salisbury University Division III athletics. For more information about Henry S. Parker Athletic Complex and all happenings in Wicomico County, please visit their website for more information.